How can you overcome addiction and move into long-term recovery? There is no magic potion, but there is a behavior that will get you there. It is called persistence, and while some people seem to be born with more persistence than others, you can develop this character trait in yourself to help you succeed in your addiction recovery. When you are in recovery, you know that it is not a product; it is a process. Recovery is not something that happens when you have finished time in a rehab program. It's an ongoing project that you continue at a sober house or at home, with friends and family around you. Some of the situations that you encounter when you return home could be prompts that led you to drugs or alcohol in the past. For instance, if you have friends who are also addicted, seeing these friends again and wanting to be close to them could make it difficult to stay sober. This is why persistence is a necessary part of addiction recovery: you will not only need to reject what triggers you to turn to drugs and alcohol, but you will also need to create a new path for yourself. Can You Become More Persistent? While brown hair or left-handedness may be something you're born with, you can work to develop positive character traits over time. Persistence is what allows you to set a goal and follow through on achieving it. It is about doggedly reaching for a goal, but it is also about being creative in the ways that you achieve that goal. It requires both commitment and flexibility. Persistence is not about being inherently better than other people. It is about developing habits. According to Fast Company, "Highly persistent people have found ways to keep going despite major setbacks and a lack of evidence that they are moving closer toward their goals." Create a vision for the future that inspires you. Persistence is easier when the path is clear and you're well-supported by friends and family. But what happens when you have bumps in the road or your family and friends fail to support you? Persistence can be there for you as well. Setting out a clear pathway for persistence in addiction recovery can help you achieve your sobriety goals. Know your vision. How do you see your life in recovery? Inspire yourself with this vision. Set a goal. Know where you want to go, so that you can create a plan to get there. Create steps toward your goal. If you want to stay sober for the long term, your first goal could be a month of sobriety outside the rehab center. Know how you will achieve these steps. 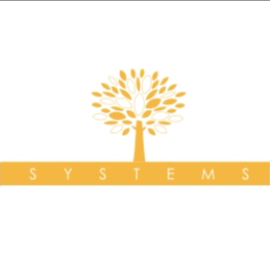 What patterns or support systems are in place for you? Create a list of habits that support your goals, and give yourself small rewards for achieving them. Develop a strong support system of people who not only love you but will also hold you accountable. Build your own confidence. Do activities that help you face challenges and move through them. This helps you persevere when there are other challenges in your life. Know how you will maintain positivity during this process. It is hard to persist. How will you help yourself continue? How will you forgive yourself and encourage yourself to be flexible if you do not meet your goals? Persistence is not about being a better person than other people. It is about developing strong, positive habits that are reinforced by a support network. If you want to become a more persistent person, it is entirely possible with the right planning and support. Everyone's path is different. According to Smart Recovery, "it's important not to compare yourself with others who succeed except for the purpose of seeing that because you are human like them, you may achieve happiness like them." Persistence is also a practice of being patient with yourself. If you make a mistake, you need to know how to come back from that instead of being angry with yourself and giving up. The habits that you develop will help you become a more persistent person, even when you face challenges or make a mistake. At Advanced Recovery Systems, we are committed to your long-term addiction recovery. Talk with us about options for addiction treatment and beyond. We will be part of your team, helping you persist through the challenges that recovery brings. Contact us today!